Please welcome Tamika Adjemian, our newest contributor! Learn more about Tamika here. ~ed. When I was diagnosed with Celiac disease five years ago, I started connecting food issues to health issues, taking an integrated, holistic approach to both. I grew an abundance of vegetables. I bought raw milk from a local farm for yogurt- and kefir-making. I raised my own chickens for eggs. Alas, I'm now allergic to dairy protein and sensitive to eggs, nuts, and soy. I've switched to plant-based eating with occasional animal protein. Frankly, I refuse to label myself, though I suppose you could consider me a reluctant paleo. This has been a difficult journey. Careerwise, I wear many hats, all of them in the culinary and edible education arts. The recipe developer in me is happiest ignoring limitations and saying yes to every challenge, so when I first encountered coconut milk yogurt at a health food store, I paid attention. It was needlessly filled with processed gums, so I searched out homemade recipes in the paleo blog world. I found and tried several, to complete failure. But I was hooked on the dream of having yogurt in my life again and committed to pushing onward. After much trial and error, I got it right. Coconut milk is an ideal dairy replacement for yogurt; it has a creamy consistency and mild taste. If you read labels carefully, you can find coconut milk from sustainable, non-GMO, often organic sources. It’s also high in healthy fats, which gives this milk its ability to firm up in the yogurting process. The following recipe works perfectly for me time and again. The small quantity of agar flakes, which are vegan and seaweed-derived, helps emulsify the natural separation common to canned coconut milk. The addition of probiotics creates that wonderful yogurt tang and eliminates the need for a pre-packaged non-dairy culture starter. Editor’s Note: Those accustomed to nondairy yogurts, and coconut milk-based yogurt in particular, will appreciate how close this version comes to commercial coconut milk yogurt varieties. If you’re a dairy yogurt eater, however, be aware of notable differences in flavor, texture, and mouthfeel between yogurt made with dairy and vegan versions such as this. We found the probiotic capsules we needed for this recipe at Whole Foods. They’re not cheap ($30 for 30 capsules, and the recipe uses 2 capsules), but each recipe yields 7 full cups of yogurt. Look for cans of organic coconut milk with no added ingredients besides guar gum. (You don't want preservatives and bleaches in your yogurt.) Agar flakes are a vegan thickener derived from seaweed. Find them in the Asian foods aisle of natural foods stores and some major supermarkets. Pour the coconut milk into a heavy, medium saucepan set over medium heat, whisking to re-emulsify. (Separation is common in canned coconut milk.) Once coconut milk warms to the touch, sprinkle on the agar flakes. Bring up to a simmer, stirring gently. Remove from the heat and let cool to 105°F to 110°F, stirring from time to time. The agar flakes should be fully dissolved. Follow directions for your yogurt maker, or transfer coconut milk to four 1-pint jars or two 28- to 32-ounce jars covered lightly with their lids. Plan to maintain a temperature between 90°F to 110°F during the 10 to 18 hour incubation phase. Place jars and a heating pad set on low inside a cooler, close the lid, and leave undisturbed for required time. With your oven light on, place jars on a baking sheet close to the light and leave undisturbed for required time. Leave a note on your oven door not to turn the oven on. Pour the cultured coconut milk into a slow cooker set on warm. Leave undisturbed for required time. 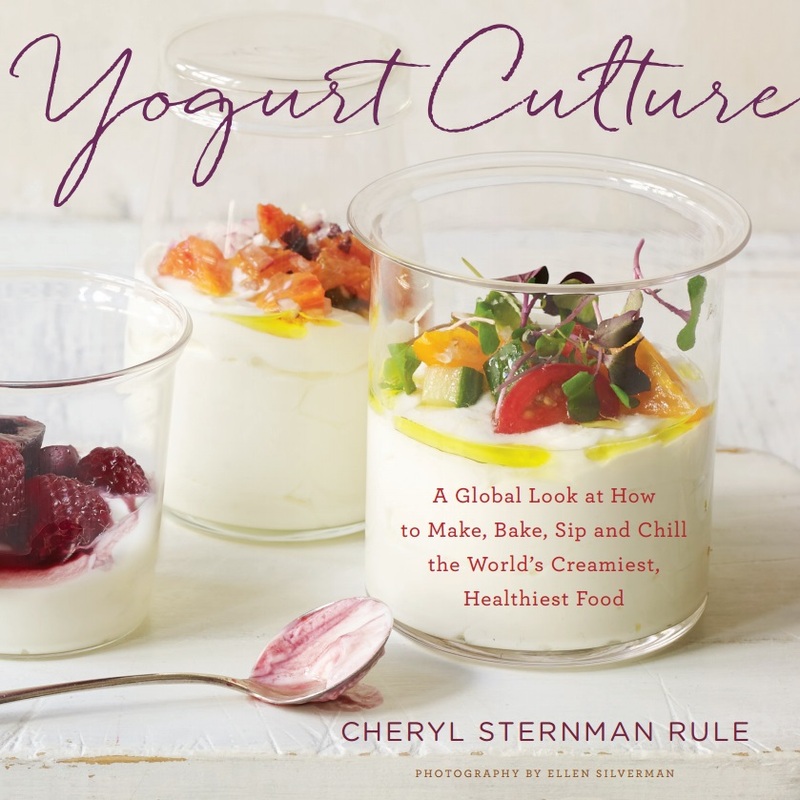 Once fully cultured, ladle yogurt into jars while still warm. Place jars directly on the bottom of your Instant Pot and use the Yogurt setting. Lock lid on and let it sit for 10 hours, or until ready. With all these methods, it's fine to let the yogurt culture longer if you're not available to remove it promptly. It will continue to develop in flavor. When fully fermented, coconut yogurt should have a thickness and body that seems familiar to regular yogurt-eaters, though it will always be somewhat different from dairy yogurts. If your yogurt is still very thin after 10-12 hours, let it incubate a few hours longer. Lumpy yogurt at this phase is normal.